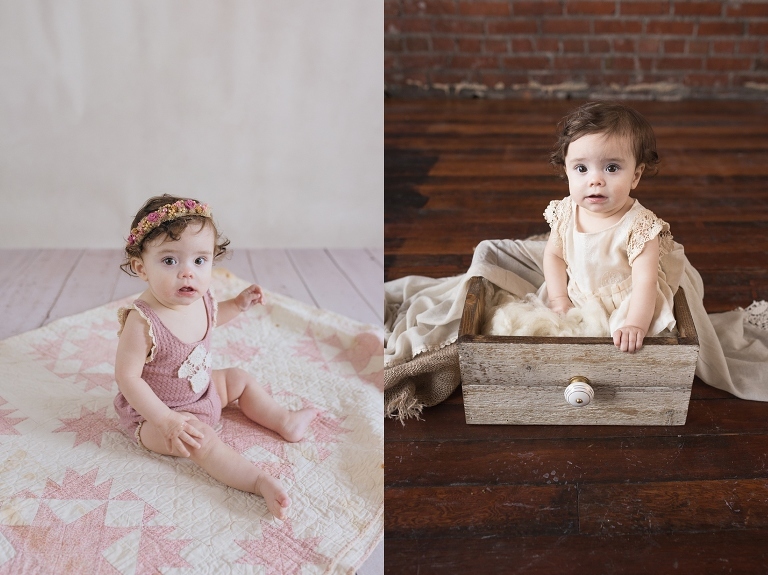 I’m so excited to share one of my first sessions in the new studio – with this adorable little baby girl, Annika! She’s finally sitting up, and that is my most FAVORITE milestone for babies. They can see the world, interact in new ways, and best of all, they can’t crawl away yet. Lol! 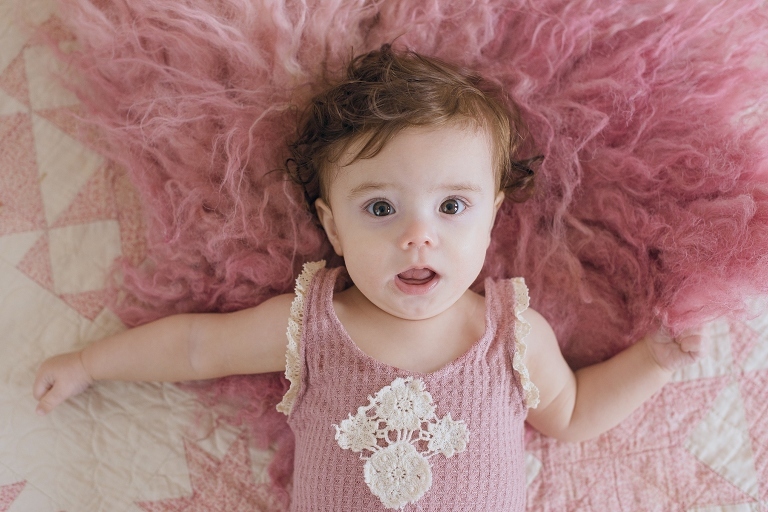 Their expressions and interaction can be a bit hit or miss since this is the age many babies start to get fearful of strangers, but it’s still such a sweet time in their life to capture! I can’t stop laughing – she loved this! She loved looking around for mommy! Loved this little headband and romper on her! Thanks for stopping by, Annika! Can’t wait to see you again soon!